5/16 x 18 size. 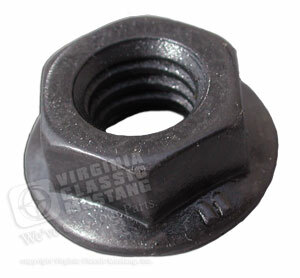 This nut is used at various places on the car, but most commonly on the outer shock tower cover. Correct phosphate and oil (dark gray) finish like original.